This Friday, I had the privilege of attending the world premier of Film Stars Don’t Die in Liverpool. This story follows the romance of a 20-something year old struggling theater actor, Peter Turner, and a late 50-something year old struggling leading lady Oscar winner, Gloria Grahame. I absolutely loved this film and it deserves total respect. The Telluride Film Festival has been a remarkable experience so far, and this opened the festival for me. Director, Paul McGuigan, author Peter Turner, and Jamie Bell introduced the film to a semi-packed house of 500. As the lights fully dimmed, the cell phones were shut off, and everyone settled in their seats, I truly felt at home in a room full of strangers. Gloria begins the film by getting herself ready backstage for a theater play. As she finishes applying her makeup in front of the glamor mirror she collapses on the floor clutching her stomach in agony. We are then introduced to Peter, at his home in Liverpool when he gets the call that Gloria is back in England. He hesitantly goes to see her and instantly you can tell that they have history and that whatever it was, it didn’t end well. Gloria is a 20 year old Hollywood actress trapped in a 50 year old’s body. She doesn’t want to embrace her aging and copes with that reality by surrounding herself with Peter. Her insecurities are relatable, but I’m sure Hollywood magnifies those feelings for her. Her profession as an actor is completely dependent on her looks and as she’s aging, she sees younger more beautiful actresses casted in roles instead of her. Someone even says that Gloria was a great black and white film actress, but hasn’t adjusted to the color movies. The story is told through flash backs, but they are seamless and transitioned in a way that captures your attention. For example, Peter walks through a door in present time in Liverpool, and enters a beach in California several years prior. In the flashbacks to their relationship, Peter is happy to keep her company as he quickly falls for her. And you never doubt his love for her. Gloria repeatedly asks Peter, “How do I look?” He continually responds that he believes she is beautiful. 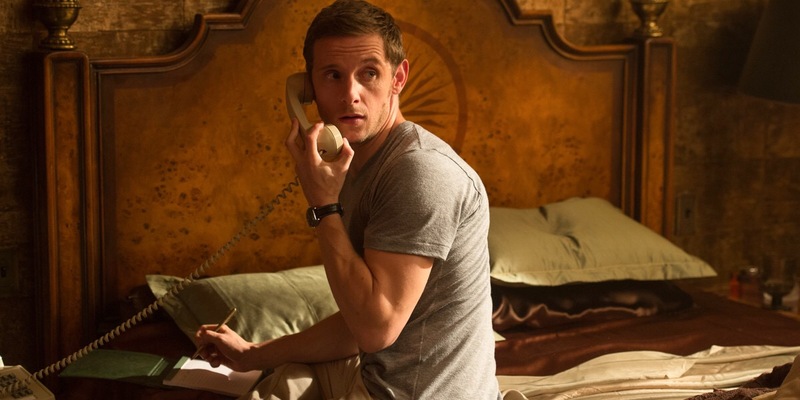 Peter is genuinely in love with Gloria, and Jamie Bell perfectly expressed those affections. Their chemistry on screen is lovely. In the present time, Gloria asks Peter to take care of her as she tries to recover from an illness she believes she can fight without physicians’ help. She has told Peter the illness is just indigestion and she will recover and be back on the theater stage. However, Peter seems so distant from her and is reluctant to bring her back to his house. As the story starts to unravel and the flashbacks release more information about their relationship, you piece everything together. I don’t want to tell anymore because I want everyone to see this film. I am certain Annette Bening will receive critical acclaim for her performance. Jamie Bell was believable and true in his performance. I would like to see him get a nomination at the Globes that are Golden this year. Overall, I recommend this film and implore you to enter the theater with an open mind and heart. You will be moved.